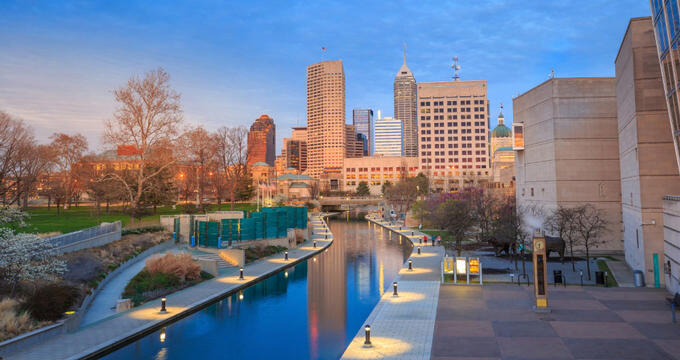 There is no shortage of fun for kids in and around Indianapolis, which is home to the world’s largest children’s museum, the interactive history park, living and museum of Conner Prairie, and the adrenalin-rushing Indianapolis Speedway and Hall of Fame Museum. 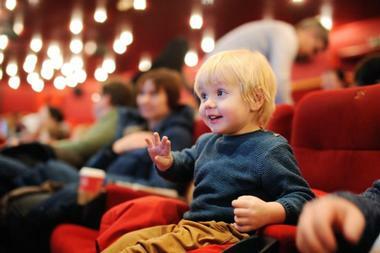 The Eiteljorg Museum of American Indians and Western Art showcases Western and Native American art and cultural objects, and Peewinkle's Puppet Studio presents captivating creative puppet shows for children of all ages. 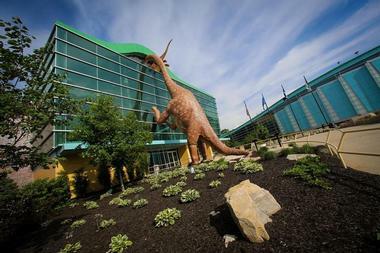 The Children's Museum of Indianapolis is the largest children’s museum in the world with 29 acres of exhibit space with interactive displays and fun activities for kids of all ages. 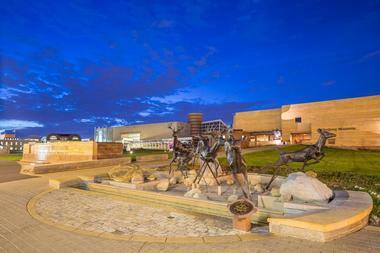 Located in the United Northwest Area neighborhood of the city, the museum boasts five floors of exhibit halls divided across three domains - the American Collection, the Cultural World Collection, and the Natural World Collection – showcasing a collection of more than 120,000 artifacts and exhibit items. Notable exhibits include a steam locomotive, a vintage carousel, a simulated Cretaceous dinosaur habitat, Playscape for toddlers, and a brand-new outdoor Sports Legends Experience. 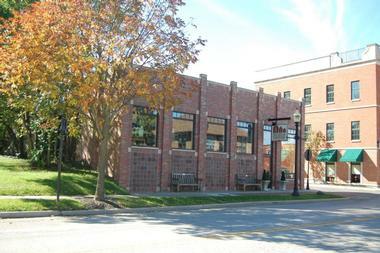 One of the largest community art centers in the country, the Indianapolis Art Center provides art classes, educational programs, community-based events and workshops for the public, with the aim of interactive art education. 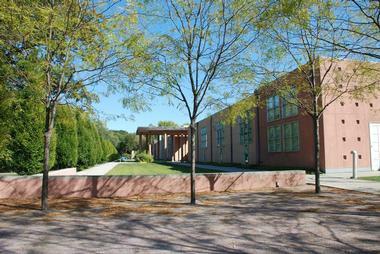 Based out of the Marilyn K. Glick School of Art, the Center is home to three public art galleries, where local art is exhibited, 11 state-of-the-art studios, where classes and workshops are held, a 224-seat auditorium, for special performances and shows, and a library for research and education purposes. The center also features ArtsPark, a nine-acre outdoor creativity and sculpture garden located in one of the city’s most diverse neighborhoods which showcase a variety of public art. The Central Library forms part of the Indianapolis Public Library, formerly known as the Indianapolis–Marion County Public Library, and is the public and community library for the city of Indianapolis. 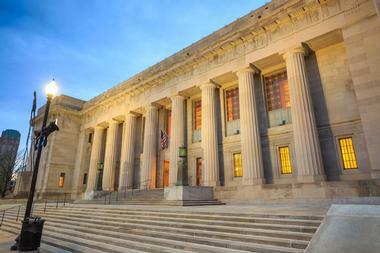 Founded in 1873, the library was designed by architect Paul Philippe Cret and features a new, six-story curved-glass and steel facility and atrium that is connected to the Cret building and situated next to the Indiana World War Memorial Plaza. The Central Library houses the Nina Mason Pulliam Indianapolis Special Collections Room, which features fiction and nonfiction books by local authors, autographed editions, magazines, newspapers, photographs, and an archive of adult and children's materials. 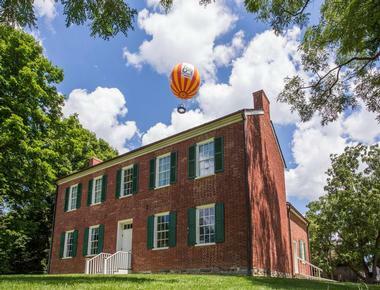 Located in Fishers, just north of Indianapolis, Conner Prairie is an interactive history park, living and museum and paradise for fun and learning for children of all ages. Created by Eli Lilly in 1934, Conner Prairie is a nationally acclaimed history destination that combines history with science with the aim of encouraging curiosity and learning through engaging, hands-on, immersive and interactive experiences. Set on an 800-acre property, the museum boasts several historically themed, indoor and outdoor experience areas that offers a variety of experiences such as 1859 Balloon Voyage, 1836 Prairietown, 1863 Civil War Journey, a Lenape Indian Camp, several animal encounters, the William Corner House, Treetop Outpost, Craft Corner and a Discovery Station. Founded by Harrison Eiteljorg, the Eiteljorg Museum of American Indians and Western Art was established to “inspire an appreciation and understanding of the art, history, and cultures of the American West and the indigenous peoples of North America.” The museum’s contemporary collection of Western and Native American art and cultural objects, which has been named one of the best in the world, includes works by Georgia O’Keeffe, Andy Warhol, Charles Russell, and Frederic Remington. The institution also features a variety of world-class exhibitions across a range of diverse subject matter, such as ‘The History of Pistols and Motorcycles’ and ‘Jewish life in the West,’ as well as a range of dynamic educational programs and workshops for the public and surrounding communities. 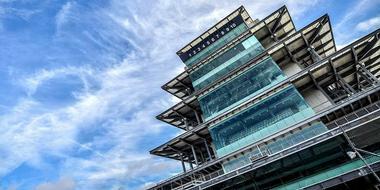 Located on the grounds of the world-renowned Indianapolis Motor Speedway, the Indianapolis Hall of Fame Museum is devoted to the world of automobiles and auto racing. Designated as a National Historic Landmark, the museum features an outstanding collection of race vehicles and automobile memorabilia associated with the Indianapolis 500 race, including motorcycles, dragsters, and cars that have set world land speed records. Visitors can enjoy guided tours of the Speedway, which include the victory platform, garage area, and Gasoline Alley hospitality suite, as well as narrated track tours, which cover one lap around the 2.5-mile oval track in a special bus. 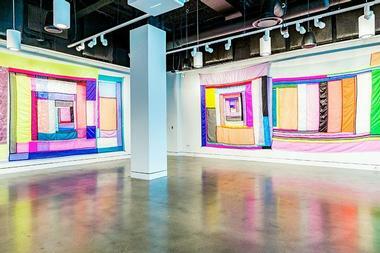 The Indianapolis Museum of Contemporary Art, also known as the Indy MOCA or iMOCA, celebrates contemporary art with exhibitions every two months that showcase the works of local, regional, and national artists each year. Founded in 2001 as a ‘museum without walls,’ iMOCA is currently features exhibitions in the CityWay, Cat Head Press in the Englewood neighborhood, Indiana Landmarks, and the Hoosier Salon and will open a permanent 2,300 square feet museum in the old Ford assembly plant on the city's near east side in 2019. iMOCA also showcases emerging contemporary artists and presented more than 40 exhibitions of more than 75 local, regional, and international artists since its inception. 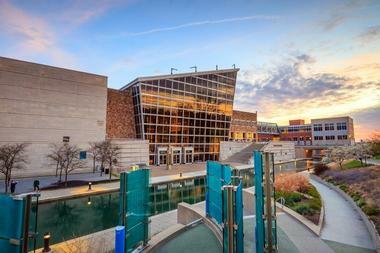 Located in White River State Park in downtown Indianapolis, the Indiana State Museum features an annual calendar of exhibits that explore Indiana art, science, and culture and is home to the state’s largest IMAX theater. Constructed of steel, brick, and glass, the building is a work of art in itself, spanning three floors of galleries, which house over 452,000 artifacts in collections. The museum offers a variety of educational programs and community-based projects throughout the year, as well as special events and visitors, can enjoy refreshments and light meals at the Farmers Market Café at the Museum. 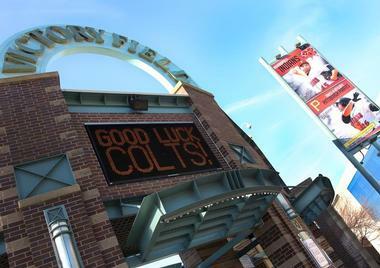 The Indianapolis Indians are a professional minor league baseball team that currently play in the International League and have been playing baseball in Indianapolis for more than 100 years. Based at Victory Field in downtown Indianapolis and currently, the Triple-A affiliate of the Pittsburgh Pirates, the Tribe has won 12 minor league championships and offers a memorable experience for their fans at every game. The team's mascot is Rowdie, the Bear. 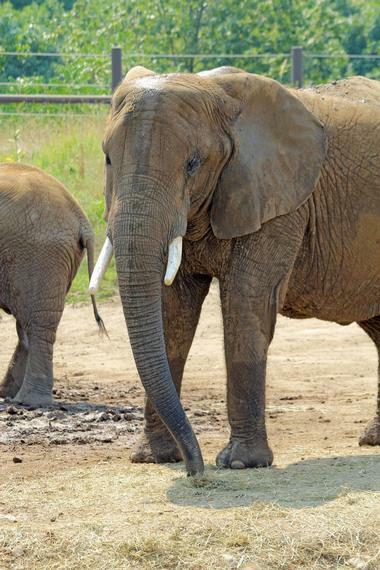 Home to over 3,800 animals representing 320 species, the Indianapolis Zoo features a zoological park, an aquarium, and a botanical garden. Located in White River Park, the zoo is organized into biomes (areas of the planet with similar climates, plants, and animals) and a variety of exhibits, habitats and displays showcasing the zoo’s inhabitants. The zoo is famous for its state-of-the-art dolphin pavilion, which features a combination of approaches to dolphin/human interaction and is home the Underwater Dolphin Dome, where dolphins can be viewed from beneath the water; the Marsh Dolphin Theater, which features a vast pool and a coastal village scene, where a dolphin show occurs every day; and the Dolphin In-Water Adventure, an interactive dolphin program. Located in Carmel, the Museum of Miniature Houses is devoted to the art of scale miniatures with a permanent collection of more than 30 fully-furnished houses, 50 room settings, and other items such as antique linens, dolls, and slide rules. One of only five museums in the country devoted to the art of scale miniatures, the museum features seven rooms with different collections of various pieces from the modern miniature world, including children’s dollhouses, room boxes, vignettes, furniture and more. The Museum of Miniature Houses is open Wednesdays through Sundays. 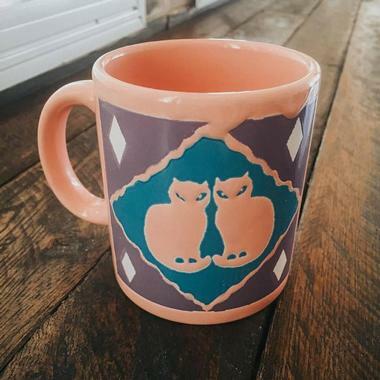 Nine Lives Cat Café is a cat lover's paradise where guests can enjoy ethically sourced coffee, delicious teas, and local sweets and enjoy playing with cats. Indy’s first cat café offers a place of enjoyment and relaxation where adoptable cats from the Humane Society of Indianapolis can be petted and played with and adopted. Customers can enjoy a snack and coffee in the café before going into the Cat Lounge to play with the cats, or they can choose to take their drinks into the Cat Lounge. The restaurant also boasts a cat-free café area for non-cat fans and is open for all day from Monday through Sunday. 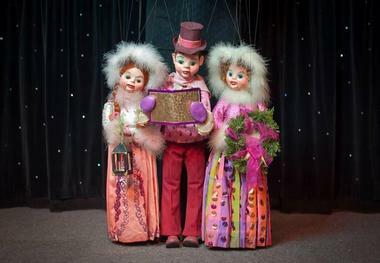 Peewinkle's Puppet Studio is a charming old world style, 50-seat puppet theatre that presents a variety of performances in a studio space on the second floor of the Indiana State Museum. 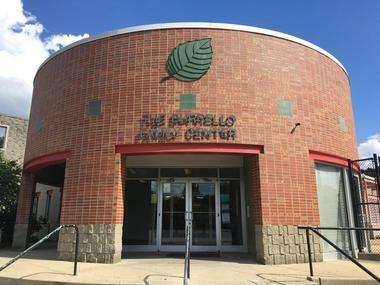 Located just a few blocks south of Circle Center in downtown Indianapolis, the studio is managed by MMHP Puppet Productions Inc., which present captivating creative puppet shows for children of all ages, along with puppet-making day camps and workshops. The studio also presents an adult puppet show at Peewinkle’s, which is set up nightclub style and includes cheese, wines, and truffles. The Rhythm! 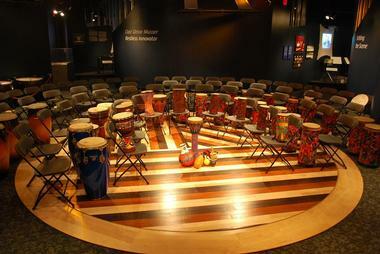 Discovery Center is an award-winning percussion museum that aims to develop an interest in and advance the awareness of percussion through innovative programs, interactive exhibits, educational workshops, and artist performances. Located in downtown Indianapolis, the center features visually captivating exhibit rooms and performance venue where guests can explore the world of percussion and its role in society. Visitors can enjoy guided tours of the center, which focus on various types of percussion instruments, and the cultures who used them, as well as enjoying interactive experiences such as playing an eight-foot gong drum and creating music and rhythm in a facilitated drum circle. The Dallara IndyCar Factory is a 202,000-square-foot facility is the destination for race-enthusiasts and home of the Dallara U.S., IndyCar Experience. Located just southwest of the historic Indianapolis Motor Speedway, which is home of the Indianapolis 500, and five miles from Downtown Indianapolis, the Dallara IndyCar Factory offers visitors the chance to explore an array of interactive and hands-on exhibits focused on the world of engineering and technology used in the world's fastest sport. Visitors can enjoy an adrenaline-rushing experience by speeding around the famous 2.5-mile oval and past the world-famous Indianapolis Motor Speedway in a two-seater Street-Legal IndyCar, and get a photograph taken with the brand new DW12. The Dallara IndyCar Factory is open Monday through Saturday. 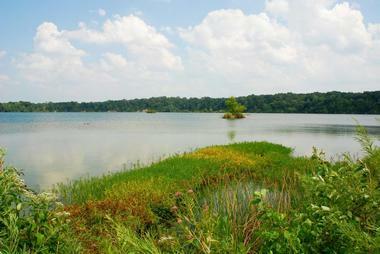 Eagle Creek Park is 3,900-acre state park on the northwest side of town that features a 1,400-acre lake, ten miles of hiking and cycling paths, lovely picnic areas and a swimming beach. One of the nation's largest city parks, Eagle Creek Park is a haven for hikers and birders, and offers a range of water-based sports on the lake, such as fishing, boating, canoeing, kayaking, sailing, and pedal boating, and hosts the U.S. Rowing's National Championship. A variety of equipment such as pedal boats, kayaks, canoes, sailboats, and pontoon boats are available for rent from Eagle Creek Outfitters. Flat Fork Creek is a 60-acre park with a beautiful lake, five miles of nature trails winding around ponds for hiking and cycling, a fishing pond, mountain-biking course, treehouses for children, and a sledding hill. The mountain-biking course includes a single track and a progressive trail with a variety of ramps and technical features for more advanced riders. The park feature three treehouses and several obstacle items that challenge agility and balance, including ‘capture the flag,’ fishing on the lake (license required), and wildflower fields full of beautiful blooming wildflowers. Flat Fork Creek Park is open from dusk to dawn and has plenty of parking and eco-friendly restrooms. Fort Harrison, also known as Fort Ben, is a state park located in Lawrence, Indiana, that is located on and occupies part of the former site of Fort Benjamin Harrison. The 1,700-acre park features a network of hiking, walking and biking trails, a Pete Dye-designed golf course, lovely picnic sites, fishing in Fall Creek, and two national historic districts. 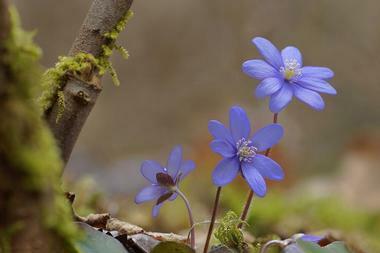 Full of blooming flowers in the spring, the park offers a variety of activities throughout the year from canoeing, kayaking and fishing on Fall Creek in the summer to sledding down the park’s hills in the winter. 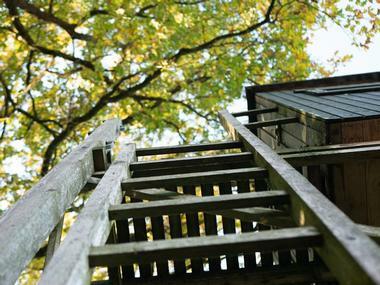 There is also a Nature Center with informative exhibits and displays on the local fauna and flora, and historic sites include a former Citizen's Military Training Camp, a Civilian Conservation Corps camp, and a World War II prisoner of war camp. 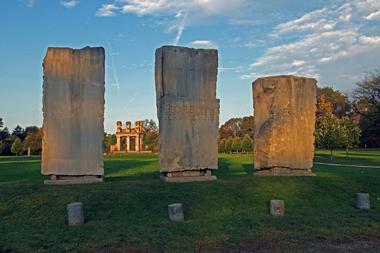 Established in the late 19th century, Garfield Park is the oldest park in Indianapolis and stands as a lasting testimony to the importance of beauty, culture, and community. The 128-acre regional city park is listed on the National Register of Historic Places and features an array of amenities, including a beautiful conservatory and sunken garden, an outdoor swimming pool, tennis courts, a softball pitch, and outdoor basketball courts. Other facilities range from a gym with a weight room, horseshoe courts, a sledding hill, and several playgrounds for children to several walking and biking trails, lovely picnic areas, and arts center, and the MacAllister Center for the Performing Arts. Go Ape offers a range of adventure courses and fun outdoor activities for all ages in some of the most beautiful places in the United States. 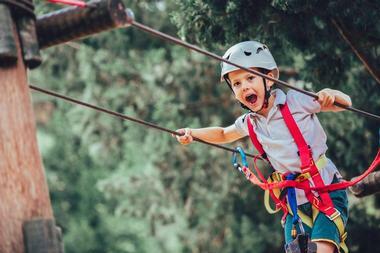 With a variety of courses set in public parks across the country, Go Ape Treetop Adventure Courses are made up of obstacles, zip lines, and Tarzan swings that allow participants to navigate through the treetops and explore the beautiful natural surroundings from the air. Participants are given a safety briefing before being equipped with all the necessary equipment for the course, which lasts between two and three hours. Qualified instructors are on hand along the course to provide safety and support, and the obstacle course is available for all ages. Holliday Park is a 94-acre beautiful green space on the north side of Indianapolis that offers a variety of amenities and activities for visitors to enjoy, including a nature center, more than 3.5 miles of picturesque hiking and biking trails, a popular playground for children of all ages, and one-of-a-kind Holliday Park Ruins. An arboretum boasts wooded ravines contain natural springs and wetlands, a beech-maple forest, over 400 species of trees, shrubs and wildflowers, and a tranquil pond, and is home to more than 200 species of birds. Professional nature guides provide a wide variety of educational programs to help visitors enjoy all that the park offers. Located in the Butler-Tarkington neighborhood in Maple Crossing, Tarkington Park is a community park that features a variety of amenities and facilities for locals and visitors alike to enjoy. Amenities include a children’s play area, basketball courts, tennis courts, a splash plaza, a network of walking trails, a café that serves casual fare and drinks and modern restrooms. There are plenty of grassy lawns and areas for field sports, and a shelter with a stage for performances, and a playground features a massive slide, a huge splash pad with cascading water and bubbling rock features, and a giant rope climbing sphere that resembles an alien spacecraft. The Asante Children’s Theatre of Indianapolis (ACT) is a community theater and youth development organization that presents transformative performances and provides creative arts training for artists and arts professionals and aspiring young artists. Established in 1990 by Deborah Asante to provide a place of self-discovery and empowerment, the Asante Children’s Theatre (ACT) celebrates the unique traditions of African and African American performing arts and offers an opportunity for adults and youth to work side by side learning and building confidence in acting, singing, dancing, storytelling, and writing. The artists then perform at various community events and theatres around the State of Indiana. 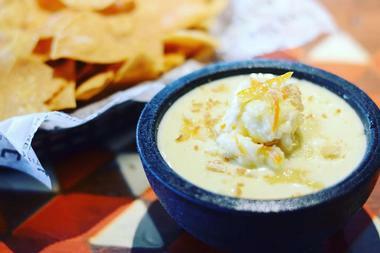 Trader’s Point Creamery is a family-friendly, farm-to-table restaurant set in a romantic 19th-century dairy barn. 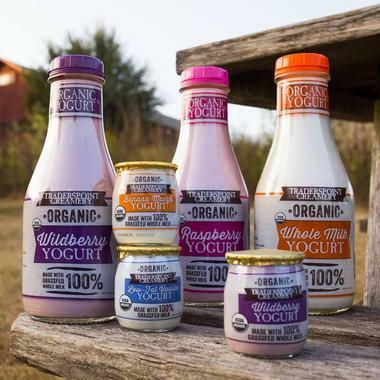 The working farm produces 100% grass-fed, organic, and non-homogenized dairy products, which are packaged in glass, and reconnects their visitors to their food through a delicious menu of farm-to-table in the Loft Restaurant and Dairy Bar. The Loft Restaurant’s menu features mouthwatering dishes prepared with local ingredients such as organic dairy products, artisan cheeses, grass-fed beef, garden-fresh produce, and pastured pork, and is open for lunch, dinner and Sunday Brunch. 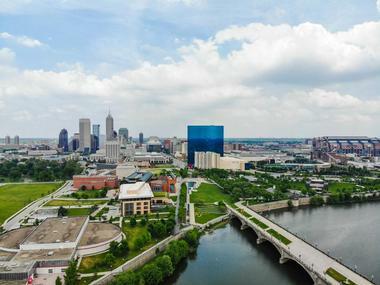 White River State Park is a 250-acre park on the western edge of the downtown area and one of six designated cultural districts in Indianapolis. The park features a scenic canal, and multiple attractions located in the heart of downtown Indianapolis, including walking and cycling paths along the canal, grassy lawns and a stage for outdoor performances, Victory Field baseball stadium, which is home to the Indianapolis Indians, minor league baseball team, and two museums – the Eiteljorg Museum of American Indians and Western Art and the Indiana State Museum. Drift along the 1.5-mile Central Canal on a pedal boat or kayak or take a romantic gondolier ride with Old World Gondoliers as costumed gondoliers serenade you as you soak the picturesque skyline views.